Jane Austen tells us that Mr. Collins was originally a man of ‘great humility of manner,’ but suppose that wasn’t true. What if Mr. Collins was a very different person than he appeared to be? His false portrayal of himself is all part of Mr. Collins’ Deception, a Pride and Prejudice variation. 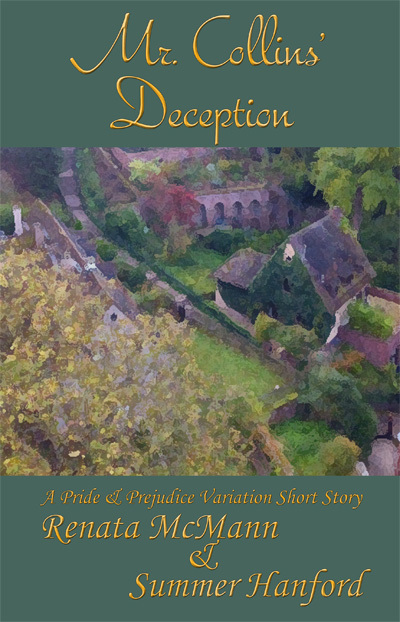 Mr. Collins’ Deception is a short story of about 16,000 words and is included in Pride & Prejudice Villains Revisited – Redeemed – Reimagined: A Collection of Six Short Stories first available in late December of 2015. Buy Mr. Collins’ Deception on Amazon Kindle! Click HERE!